Where Are Your Team Building Activities Available? Team Higher Ground delivers our world-class team building activities right across the country and throughout the world. Because our team building activities, people, and equipment are portable, you benefit from this flexibility as we can work with you in virtually any location on the planet. Whether onsite at your corporate offices, an outdoor setting or park, downtown business district, or the resort or hotel you've chosen to meet at, Team Higher Ground comes to you! One of Team Higher Ground’s greatest capacities is that we come to you – anywhere you are! Many of our programs can be done at your office, depending on how much space is available. Other times another nearby venue, or the hotel or resort you’re already meeting works great. We’ve delivered extraordinary team building activities at hotels, restaurants, convention centres, water parks, exclusive resorts, beaches, parks, atop glaciers, onboard cruise ships and virtually any setting you can think of. Bottom line on where Team Higher Ground delivers our extraordinary team building activities is – wherever you are! How Long Do Your Team Building Activities Last? The length of most Team Building activities is between 2 to 3 hours, the “sweet spot” for almost all of Team Higher Ground’s programs is 2.5 hours. This allows us enough time to create a rich and impactful event while also maintaining the momentum and energy. Some clients are looking for shorter duration, say 60 to 90 minutes (often either as an opening ice-breaker, lunch-hour energizer, or evening ‘entertainment’ pre or post-dinner). Some are looking for a full day of team building activities that we happily can accommodate by blending together two or more programs into an astounding full day experience. More is always better to allow us time to plan your event, staff appropriately, provision materials, and help you with all the logistical details that make your life easier. Some clients call a year or more in advance, some are “last-minute” and call days before their event (in a panic), and in both cases we dedicate ourselves to creating an extraordinary outcome. Most clients contact us about two to three months in advance. 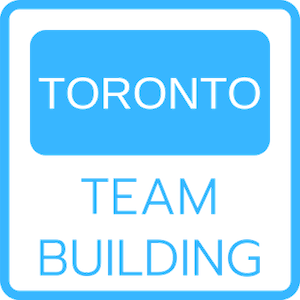 Generally speaking, the larger your group the greater the lead time recommended for planning and delivering an outstanding Team Building activity. Basically, the more time you provided us the better! Short answer is typically between 30 to 3,000! Our events are designed to be scalable for all group sizes and once we’ve had our first contact, we’ll provide you extraordinary options that scale perfectly to your group size. Under each program description we state a minimum and maximum number of participants as a guideline but welcome your inquiry for virtually any group size, small or large, so we can guide you towards the best team building activities for your group taking into consideration all factors, including size. Tens, hundreds, or thousands (literally) of participants – we’ve handled them all and delivered extraordinary results! Are Your Team Building Activities Indoors or Outdoors? We offer team building activities designed to be delivered indoors, outdoors, or a combination of the two (e.g. Amazing Chase). During our initial communications, we’ll ask about your preference and provide you with guidance (based on season, location, timing, weather implications, etc.) on your options and then send you some amazing options that clearly identify whether they’re indoors, outdoors, either, or both so you have ultimate flexibility! For absolute “peace-of-mind” most of our clients prefer indoors as this option makes it much easier on you as organizer (much less to worry about as the event date approaches). This is especially true for large groups (e.g. 500 people) where there is simply no last-minute ‘Plan B’ if weather isn’t looking ideal! What's The Difference Between Team Building and Adventure Learning? 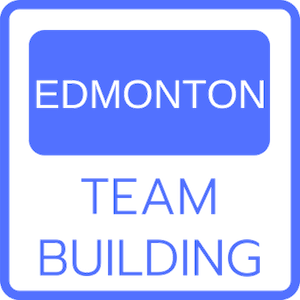 On a scale of 1-10 (1 = pure laughter and 10 = pure learning) the Team Building activities (e.g. Innit 2 Winnit, Laugh Olympics, Leaky Contiki, & Biker Build-Off) are about a “3” or "4" - super-engaging and energizing, more laughter than learning yet leave the participants feeling rewarded, celebrated and also deliver some lasting insights into teamwork that naturally spill out of the experience (with or without debriefing). On a scale of 1-10 (1 = pure laughter and 10 = pure learning) the Adventure Learning options (e.g. What's Possible) are about a "7" or “8” - still allot of laughter but always in service of revealing how your people think and react when facing challenges and each activity is immediately processed to gain the most traction and 'transference' back to your real-world culture and performance! What If We Think Some Of Our People won’t Participate? We’ve got you covered! Through a combination of our friendly and welcoming staff (you’ll know them from their red shirts and big smiles) and skilful design of each programs ‘opening moves,’ we’ll immediately put all your people at ease! We love hearing that some (or all) of your people might be resistant because we know from our over twenty-five years experience delivering team building activities, that this kind of hesitation, or even anxiety, can be transformed powerfully into real enthusiasm and engagement. Over the years we’ve become experts at reading each group and ensuring we “meet them where they are” (especially at the critical start) to ensure we’re achieving 100% engagement and the laughter, learning, and lift you’re after! Who Are Team Higher Ground's Facilitators? Our people really make the difference! 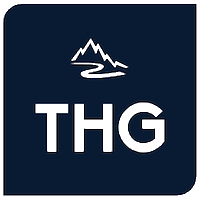 Team Higher Ground offers some of the world’s most skilled and highly sought-after Facilitators and Support Staff! We know that the interaction of our people with yours is always a critical enabler of your satisfaction so we ensure all our people meet your high expectations for skill and professionalism! All of our Group Leaders combine the highest standards for facilitation skills, deep real-world business experience (at least 20 years), and a passion for this work we love doing! All of our support staff are especially skilled at anticipating the participant’s every need during the event and for making all your people feel welcome, supported, and special! Team Higher Ground’s Dedicated People Really Make the Difference! Can We Incorporate Messaging Into Our Event? Of course! Team Higher Ground is highly skilled at creatively blending into our team building activities your tagline, new product launch theme, key meeting messaging or other branding elements into pretty much any team building activity you choose. Some clients even ask us to customize entire activities to support specific messaging and we’re always happy to custom-create an entire event just for you! Is There A Winning Team And Are There Prizes? Most of our programs include a competitive element that we can quantify and award prizes for. By design, it’s typically not apparent which team is ahead throughout the event so this keeps everybody’s competitive juices flowing. The teams have a wide variety of opportunities to earn prizes – some objective and some more subjective – and many events have multiple prizes for demonstrating different aspects of teamwork. We include prizes that are in keeping with the spirit of each team building activity! That said, the real ‘prize’ for all out Team Building activities is the intrinsic reward every participant feels. This is the essence of Team Higher Ground’s ‘Laugh, Learn & Lift!’ approach! Who Chooses The Charity For Give-Back Team Building Events? We always have a partner charity that we work with for our give-back style Team Building activities. We’re also happy to work with the charitable organization of your choice. In most cases, all you need to do is provides us with a contact at your charity and we’ll do the rest! Either way, rest assured we’ll do all the work to coordinate all aspects of making the connections between your give-back style experience and a grateful charitable partner!